Leading Manufacturer of votive candle holder, flowers for valentines day and designer candle gift sets from New Delhi. With immense knowledge of the industry, we have emerged as the leading manufacturer and supplier of wide range of Votive Candle Holder. Reckoned for its beautiful designs, this candle holder is widely demanded in the market. Provided candle holder is manufactured by our experienced professionals by utilizing quality approved basic material and the latest technology. 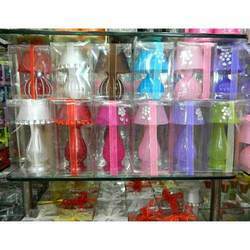 Moreover, this candle holder is made available in different shapes, designs and sizes. By keeping track with the market development, we are offering optimum quality Flowers for Valentine’s Day. 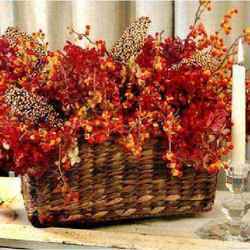 Manufactured utilizing high grade raw material and the most advanced techniques; the offered flowers are highly demanded by our clients. In order to deliver flawless range at clients' end, these flowers are checked on various parameters by skilled quality controllers. We are passionately engaged in offering an exclusive range of Designer Candle Gift Sets. Designed by using quality assured wax and advanced technology by our innovative professionals, these candle gift sets are best in quality. 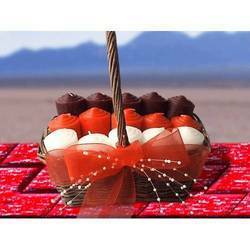 Prior dispatch, these gift sets are checked under various parameters of quality. Apart from this, our prestigious clients can avail these gift sets from us at industry leading prices.